Obscurity has always bothered me. As a boy I was endlessly fascinated with war stories, but the ones that disturbed me the most were those tales that involved some nameless hero who lost her life while diverting the attention of menacing soldiers so that others she didn’t even know might escape and live. It wasn’t the sacrifice that horrified me; it was the anonymity of it. 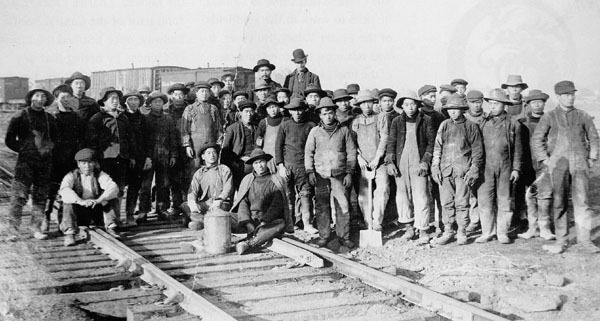 And then there were the stories of Chinese railway workers; those fellows who built Canada’s railways in the late 19th and early 20th century. They laboured, and many died, under miserable circumstances, far away from home, for the benefit of others who had little appreciation for them as persons. Similarly it was the nameless of the historical photos that I found haunting. In more recent years, Nanci and I traveled with a film crew through Ethiopia documenting the work of the Canadian Foodgrains Bank. Everywhere we went, especially in the highlands, we found ourselves constantly surrounded by myriad children. 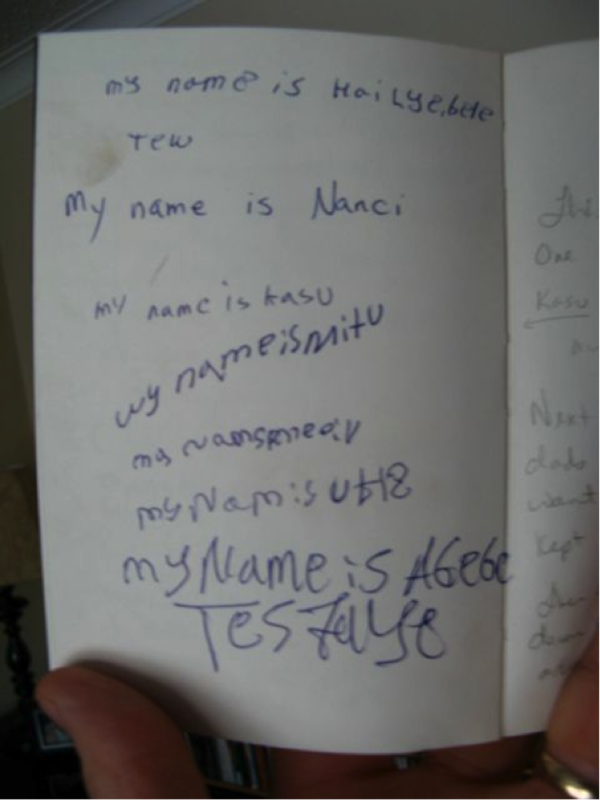 Nanci kept a journal in which she would invite kids to write their names. And they were delighted to do so. Mitsu! Tew! Kasu! Abebe! 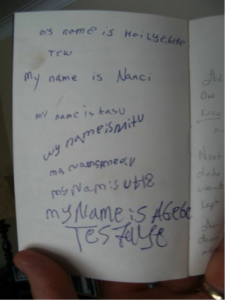 Those kids were so excited to see their names written down in their own hand, and carried off to be remembered in another place. But obscurity doesn’t bother everyone. Some are quite happy to go unnoticed. I’m always intrigued by those quiet souls who go about their lives, often doing much good, content with goodness for its own sake and happy to be uncelebrated. I’m not naturally endowed with such humility. I imagine Joseph the carpenter, the foster father of Jesus, to have been such a man. We are first introduced to the story of Joseph as he discovers his fiancé is pregnant with another’s child. Beside whatever disappointment and emotional pain he may have felt, I assume there would have been great humiliation for him as well. And at that time in history, it would have been acceptable for a man to respond cruelly in defense of his honour. But scriptures tell us that he absorbed the pain and planned to divorce her quietly so as to minimize her disgrace. There was a tenderness to his response that betrays a profound humility. Then, in a dream, Joseph is told that his fiancé was carrying the very Son of God whose name would be Jesus, and that he, Joseph should receive and care for the child. At that moment, Joseph’s whole future was upended. Whatever dreams and aspirations he had for his own life were suddenly swept aside for a very uncertain, even dangerous future. He would spend the next many years as a refugee in Egypt protecting the boy from threatened powers. And even though he eventually brought the family back to Israel, it wasn’t safe to return to his home village. In short, he never did get his life back. Tradition assumes that Joseph died before Jesus came into his public ministry, and so he didn’t even get to witness the full fruit of his sacrifice. He simply slipped out of history as quietly as he lived in it, without a word of his passing. What a curious phrase. This humble quiet man was understood to be, in character, close enough to God to be his shadow. In other words, through this story, we come to understand something of the nature of God himself. Joseph also received the title: Patron Saint of workers, and of adoptive and foster parents. It was this last designation that caught my attention and beautifully solved a puzzle for me that has bothered me for years. In Matthew’s gospel, the genealogy of Jesus shows him to have descended from David. But the genealogy comes through Joseph, not Mary. The designation, Son of David, which is prophetically tied to “messiah” was conferred on Jesus through adoption, not blood. There’s a powerful grace at work here, quietly embedded in the story of this man Joseph who forfeited a life and dignity of his choosing, to embraced a momentous disruption, and welcome as his own, with the right of co-heritage, the child of another love. Ultimately, this is reveals something about the nature of God who, according to St. Paul in Romans 8:15 sends us his spirit, “the spirit of adoption which makes us cry out, Abba, Father”; who, in his humility, confers on us “divine filiation” with the full rights of co-heritage with his son, our brother, Jesus. The implications of this are blinding. The Greek philosopher, Plato, observed that when cave dwellers emerge from darkness into the light, their eyes are too dilated to look upon the brightness of things as they are. At first they can only look upon the shadows of things. But as their eyes adjust, they are eventually able to look at the things themselves. God, in his mercy, has given us the story of Joseph, “a saint modest and hidden,” as a shadow of himself until we are able to see God as he is. During Lent, through our fasting and penance, we come to remember who we truly are, whose good name we bear, and our dignity as sons and daughters of this Father. All the things you deem right? All my idols into the night? Of my learning and my will? And crafted with fine skill? With this poetry and song? That my offering will not suffice? May I ask what book? In a nutshell, Plato, observed that when cave dwellers emerge from darkness into the light, their eyes are too dilated to look upon the brightness of things as they are. At first they can only look upon the shadows of things. But as their eyes adjust, they are eventually able to look at the things themselves. God, in his mercy, has given us the story of Joseph, “a saint modest and hidden,” as a shadow of himself until we are able to see God as he is. Thank you for this meditation. In other words, we submit to the Father’s teaching of incarnation in His son, tending to the growing life of Christ within and around us, seeing through a glass dimly until the dawn and break of day. How beautifully you have captured the persona and role of Joseph!! As an adoptive mother of two children with the knowledge of all the love, devotion and rights it entails I have always been thrilled that I am adopted into God’s family and he is indeed my Abba Father. So wonderful to see this role of adoption played out in the life of Jesus by his adoptive earthly father. I really appreciate your comment as well Grant. So good… Grace before grace was bestowed on us all. Amen. Is Joseph not also the patron saint of Canada? Steve Bell, have you ever considered becoming Catholic? It seems like your writing and music is becoming more and more Catholic as the years go by…just saying. 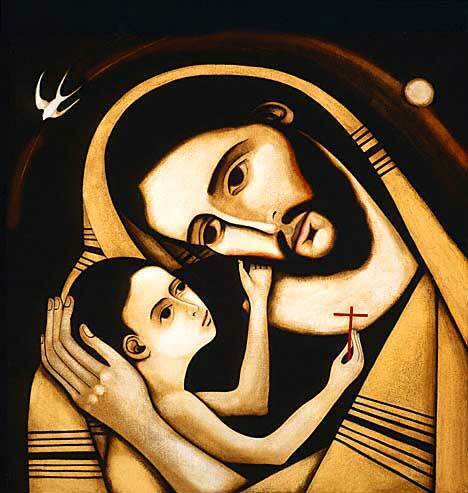 Anyway, love your work and love St. Joseph! And, yes, St. Joseph is the patron saint of Canada! HI Steve, I love what you said about Joseph. Thanks for sharing. It’s too bad that we cannot read the other comments because the icon on the left blocks of the left side of the paragraph.